Here at MTNP we want to not only supply the highest quality taxidermy supplies, but we also want to make sure to keep busy when not out there delivering those supplies. 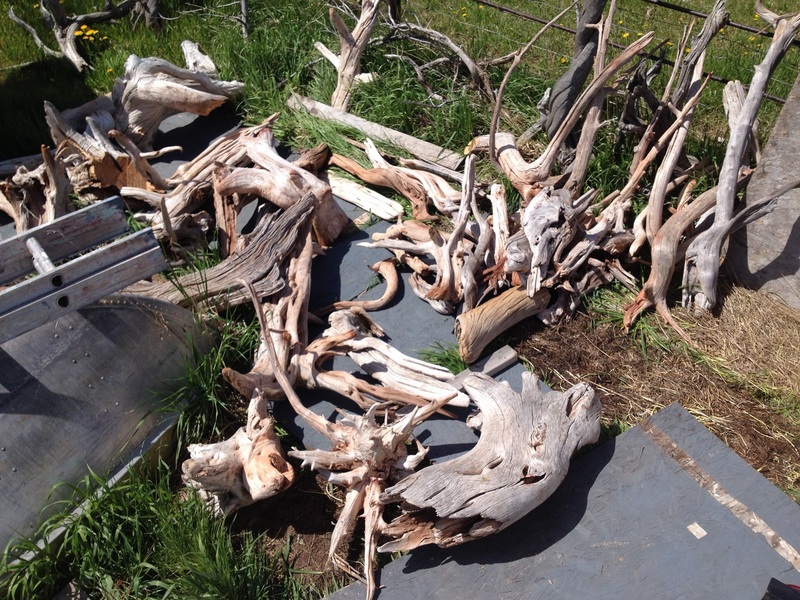 That means crafting a lot of high quality furniture and other products out of the juniper wood that is so abundant around here. But that means a good shop is in order, a shop that has great lighting, heated for the winter, and adequate tools for the job. 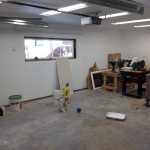 Building that shop is not especially difficult, but it does take some time. To say the shop is being built is somewhat misleading. It’s not an entirely new building. In fact, the building is close to 70 years old. Ok, it is the garage behind my house. 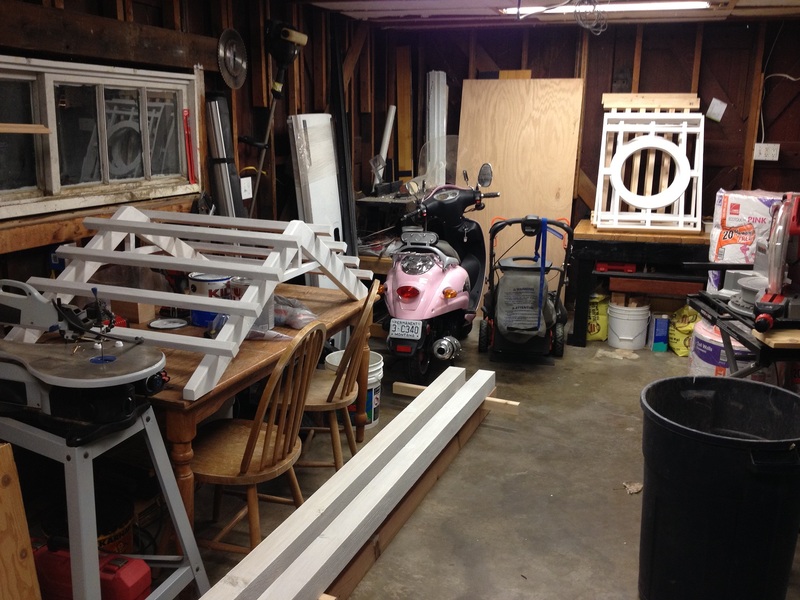 My goals have always been to turn half of the garage into a workshop, but time and money continued to be an issue. They still are to an extent, but I have started dedicating more time and money to the shop. 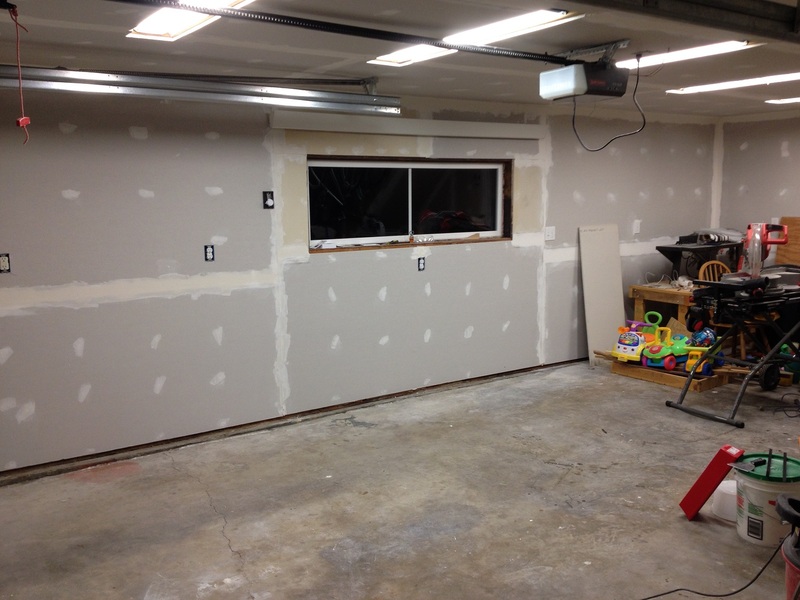 The garage had a single light bulb and cheap scrap paneling covering the walls. 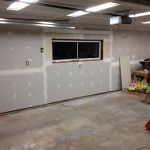 Over the last several years I have torn all of that down, and got the walls to just the bare studs. Then I took out that one light bulb and added 5 fixtures that hold 2 four-foot fluorescent bulbs each. I then added wiring to support many more electrical outlets and an 8 foot cove heater. I insulated and drywalled the entire thing, then textured and painted it. 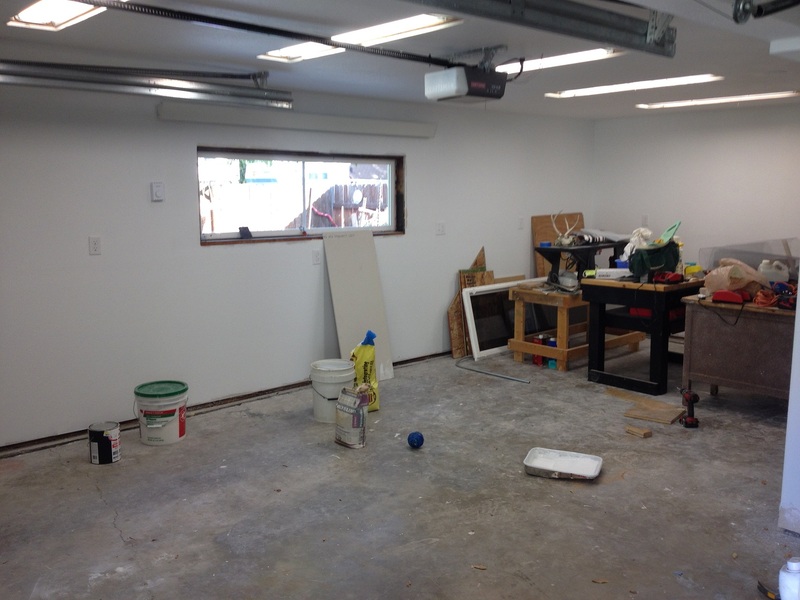 Let’s just say that the entire garage went from being loosely finished, to completely unfinished, and then to fully finished. Stocking the shop, however, is a whole other issue. Over the years I have accumulated most of the tools that I need to build. And I am slowly accumulating more of them. That’s not the biggest issue at the moment. Currently I am working on building a 9 foot long roubo workbench on which the majority of my projects will be completed. Since I don’t have the clamps or the space to glue multiple boards together, I am doing them 2 at a time. And that proves to be rather time consuming. 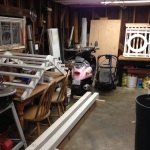 But in the end the workbench will be highly functional and a huge addition to the shop. That does not mean that I can’t use the shop while I put the finishing touches on it. You see, for every 1 piece of juniper wood that would make a great taxidermy mount, I find 2 or 3 that are too straight for taxidermy. However, those straight pieces are fantastic for building. My favorite projects to build are lamps. Just something about taking a piece of wood and it into a device to light a room sparks my interest. But that is not where I stop. I like to do smaller jewelry projects, and I have a couple of larger table projects in the works as well. In the meantime, as the MTNP shop is being built, I still have a good stockpile of taxidermy supplies as well as furniture that I have completed. Take a few minutes to look around the website and if you see something that you like, drop me an email, or give me a call. I might be able to get you what you need.